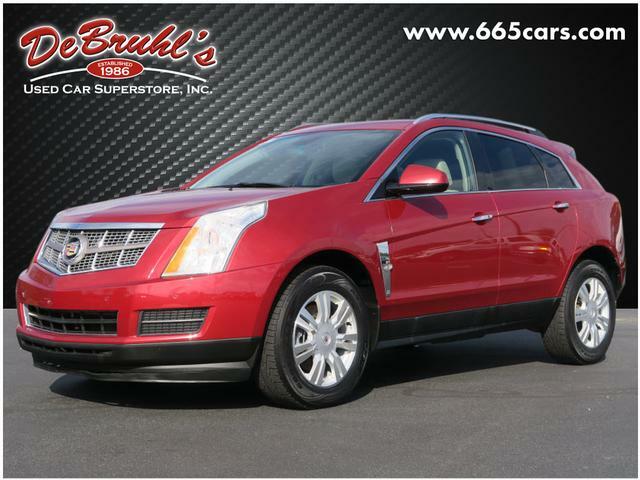 * TELESCOPING STEERING WHEEL * * 6 Cylinder engine * * GREAT DEAL AT $13,950 ** ONLY ONE PREVIOUS OWNER * * This 2011 Cadillac SRX Luxury Collection comes with Bose speakers for the best sound experience around * * 2011 ** Cadillac * * SRX * It has a 6 Cylinder engine. Rocking a suave red exterior and a shale interior, this car is a great pick. Dont wait until it is too late! Call today to schedule an appointment. DeBruhls Used Car Superstore is the largest independent auto dealer in WNC! We offer a full range of financing with our guarantee credit approval, everyone is approved here.